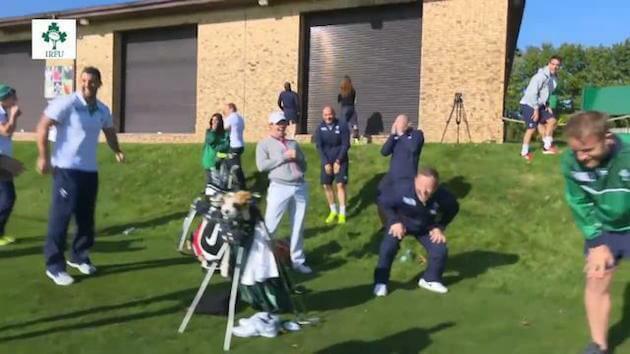 Rory McIlroy met with the Irish Rugby Team recently for a very entertaining golf clinic. Rugby is an incredibly physical sport played by big powerful men that take great pleasure in smashing into each other with bone-crunching tackles, all without the aid of protective padding. So, how better to recover than having a pleasant afternoon off with a fellow Irish Sporting hero to work on their golf games. Rory meets the Bryan Brothers, trick-shot artists.